This granite has a unique naturally occurring speckled design. The overall color would be considered gray. Round standard vanity sink made from a speckled granite. The granite is polished to give is a smooth feel and a shiny look. These designs are simple and fit in both modern and traditional home designs. 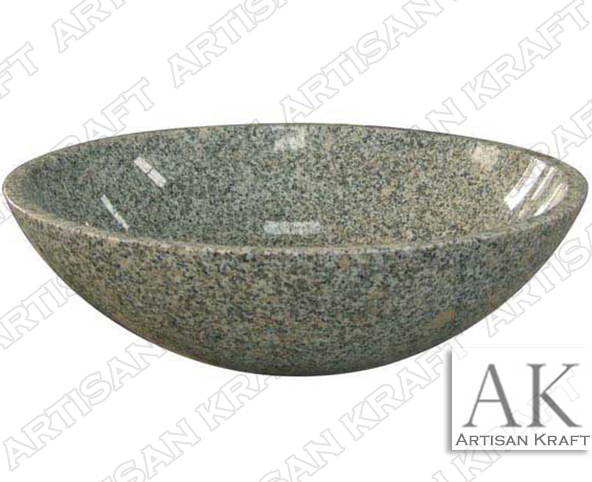 This round sink can be made from other granites, marbles and stones. Ask about the different stone options available.